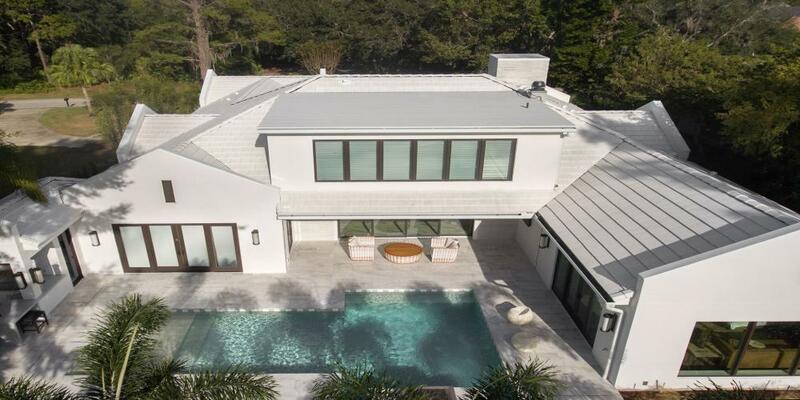 Most remodeling contractors quickly learn to estimate project costs accurately, but they often have trouble when it comes to setting a selling price for their work. They know they need to charge more than the actual cost to build the project, but they don’t have a good handle on what their actual overhead costs are. Many simply add 10% or 15% and hope for the best. 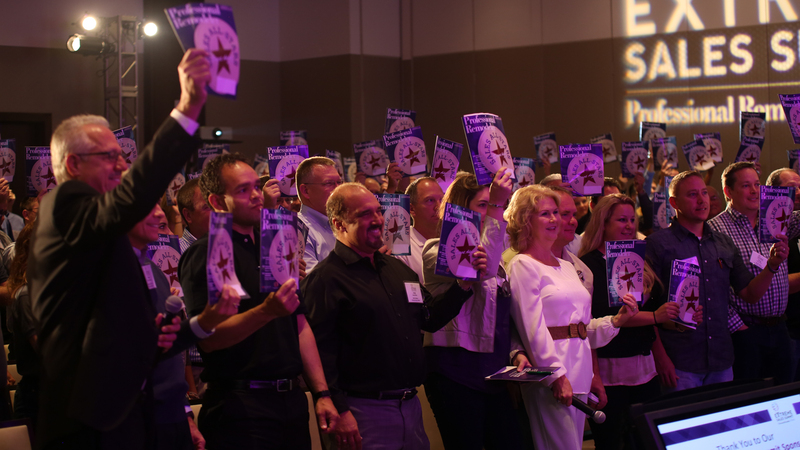 Others may have heard that a remodeling company should earn at least 30% to cover overhead and profit. It seems high, but they want to be successful, so they mark up the job by multiplying estimated direct costs by 1.3 . Multiplying direct costs by 1.3 amounts to a 30% markup, but it does not yield a 30% margin. If this is the way you’re doing it, you’re losing money on every job. Wait, what happened? Why does that 30% markup ($3,000) amount to just a 23.1% margin? It’s because markup is a percentage of costs (3,000 ÷ 10,000 = 30.0%), whereas margin is a percentage of the selling price (3,000 ÷ 13,000 = 23.1%). To achieve a 30% margin, you need a markup of 42.8% . Margin is a percentage of the selling price. 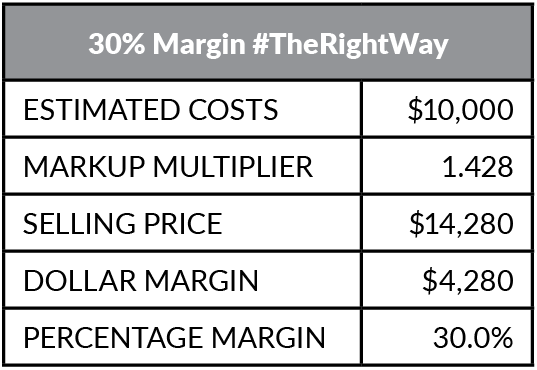 To achieve a 30% margin, you have to add 42.8% to estimated costs. 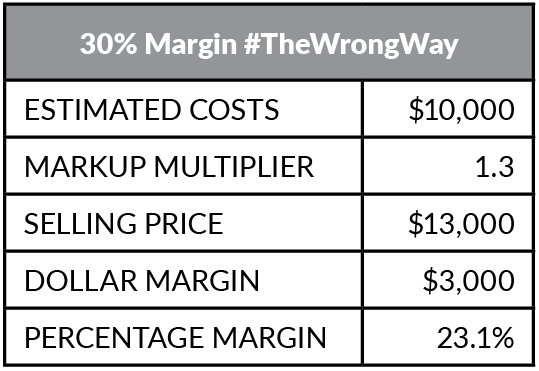 Whether you need a 30% margin to cover actual overhead and profit is a topic for another time (you may need more). But assuming you do and that estimated costs for this hypothetical job are accurate, if you do things #TheRightWay and sell the job for $14,280, you earn $3,567 to cover overhead, plus $713 in profit. But if you sell the job for $13,000, you lose big. Your $3,000 markup leaves you $567 in the hole—money that comes out of your pocket to cover overhead expenses—plus, you don’t get the $713 in profit. On bigger jobs, the lost dollars add up fast . Confusing a 30% markup with a 30% margin leads to a selling price that fails to cover overhead expenses and wipes out profit. You can also find the proper selling price by dividing instead of multiplying. Subtract your target margin from one, then divide estimated costs by the result. For example, to find the selling price at a 30% margin, divide by 0.7 (1.00 – 0.3) ​​​​​​​. Another way to find the selling price is to subtract the decimal value of your target margin from one, then divide that number into estimated costs. Both methods work equally well, and since most contractors have a smartphone in their pocket, doing the actual math is pretty simple either way. To make things even easier, whether you multiply or divide you can look up the correct markup factor on a chart ​​​​​​​. Selling at the right price is a good start, but you have to produce the job on budget to earn your margin. If you’re still losing money, the most common culprits are failing to account for all overhead costs or undercharging for labor, two topics we’ll address in a future article. To use the Markup Multiplier chart, look up your target margin percentage (overhead plus profit) in the left-hand column. Then use the corresponding number in the right column to multiply estimated costs. For example, to find the selling price at a 30% margin, you would multiply estimated costs by 1.43. To use the Markup Divisor chart, divide estimated costs by the number in the right-hand column. 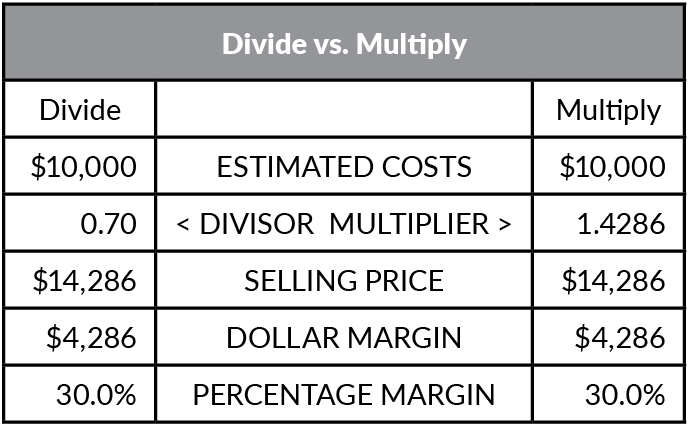 For example, for a 30% margin, divide costs by 0.70.